Getting a Debt Consolidation Loan can do more than pay off debt. You can create a sizable nest egg by investing all or a portion of your monthly payment savings. After a few years the results may surprise you! Use this Debt Consolidation Calculator to see the results of paying off debt and investing your payment savings. 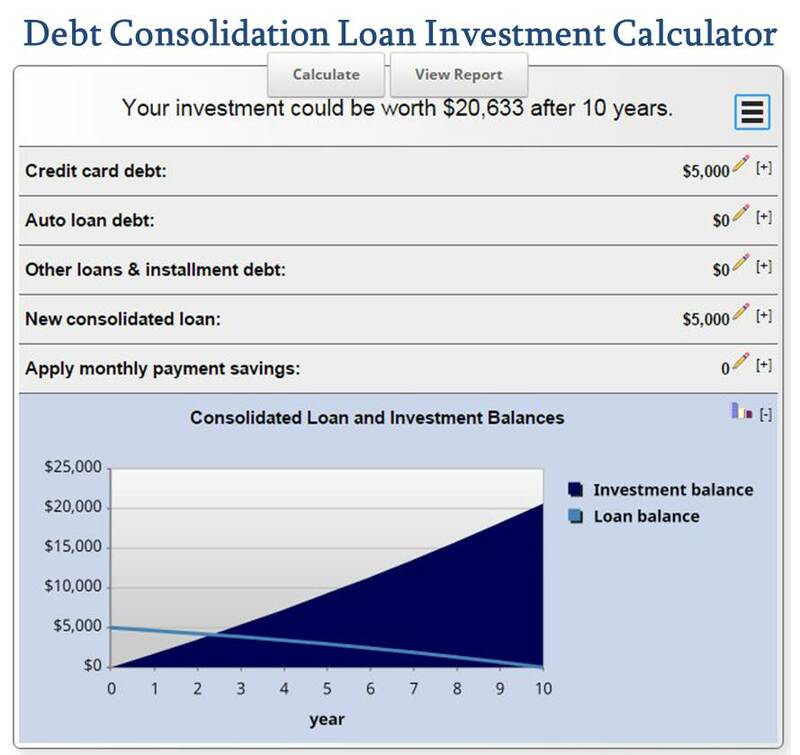 Debt Consolidation Loan Investment Calculator is the ideal Debt Calculator to increase your savings balance and pay off debt at the same time! Click the "View Report" button for a detailed look at your results, along with an amortization schedule of the debt consolidation loan and your savings investment balance. You may also email the results by clicking on the three-line icon in the upper right hand corner of the mortgage calculator. Looking for a different calculator? More Calculators Here.